Betsy Klein, a native to Charlotte, North Carolina looks at jewelry through the lenses of different art mediums. 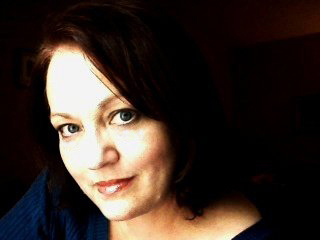 Her background consists of extensive studies in painting, photography, ceramics and furniture design. The daughter of internationally renowned film producer, Walter J. Klein, Ms. Klein had the unique opportunity to grow up traveling around the world learning about various cultures, experiencing ranges of art from the Louvre in Paris to artists in huts 100 miles from civilization in remote areas of East Africa. In many cases, the jewelry was a reflection of their heritage and left a lifelong influence to her art. Her early studies began at the Mint Museum of Art at age 7, continued through the School of Art & Design at Stephens College, studying under artists such as international known sculptor Rudi Torrini and at the Arrowmont School of Arts & Crafts. 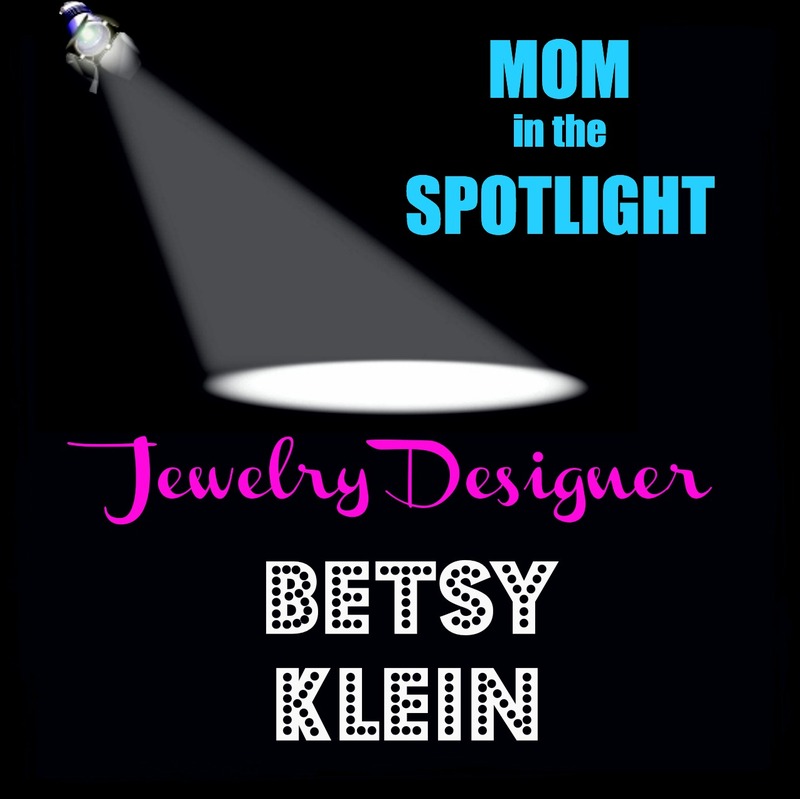 Ms. Klein established Betsy Klein Jewelry as a custom design entity to allow women to showcase their personalities through wearable art. She strongly believes that jewelry is a definitive statement of a woman’s personality. Experience more of Ms. Klein's collection at betsyklein.com and Facebook. 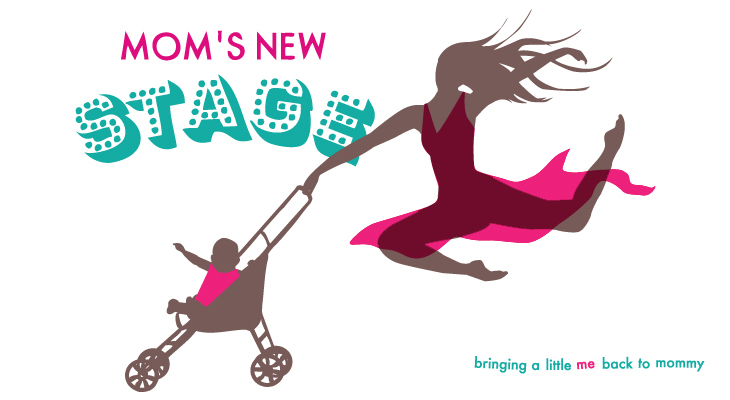 Why were you shocked to be asked to be a Mom's New Stage interviewee? I have been following this blog for awhile and since I'm not a mom with young kids in the house I'm definitely surprised! It's been quite some time since I was in that position! You started your business later in life. What is the reason for this? I started my formal art training at age 8 at the Mint Museum of Art, and was an art major in college, specializing in furniture design. Being a single mother from the time my son was fifteen months old drove my life in a different direction. I found my passion in technology, but came “home” to art when circumstances gave me too many opportunities to turn away from. How did you come to start designing jewelry? I started designing jewelry over 20 years ago simply as a self serving pursuit. I could not find any necklaces or earrings that I liked that would work well while I was working on the phone, so I started creating for myself. People started “demanding” that I sell them what I was wearing and were spreading the word about me before I actively did it on my own. A wonderful jewelry store began carrying my designs and things grew from there. What is your mission as a designer? To create wearable art that “connects” and speaks to the person who chooses to wear it. I enjoy the challenge of translating what I see into jewelry and creating that bond between my jewelry and the woman wearing it. Where do you find inspiration? What has to happen for you to begin a new piece? I have a passion for many forms of art, including photography, glass, and three dimensional arts. I look at the world around me in terms of light, color, texture, patterns and balance. I find inspiration everywhere and anywhere -- from a picture my cousin posted on Facebook of her new garden of hydrangeas just starting to bloom, to a stranger who passed me at one of my Bloomingdale’s shows wearing an incredible combination of colors on a scarf she bought in Columbia (I took a picture of it). I am a color addict, and have great color memory. I see an image and immediately translate it into which stones will go into my creations. Dancers and choreographers from different companies often know each other well and work intimately together. How much community is there in jewelry design? A very interesting question. There is quite a bit of competition and a range of expertise and talent as there obviously is in dance. I am lucky enough to have a tremendous network of other designers who not only work together, but purchase items together and are a great sounding board for my designs. They keep me humble and in check! Do you see any major differences between parenting today and the way you raised your son in the 70s/80s? Happily, I see a BIG difference in the involvement of the father in parenting. Dads may have always been there to “play ball” and that kind of thing, but I see what we fought for in my “hippie” days, meaning the father's equal participation in family life, coming into fruition. Being a grandmother seems like being the perfect balance of parent and sitter, as in not a 24/7 job. Can you speak to this a little? Unfortunately, since I am so far away from my grandchildren, I can’t speak to the babysitter aspect. But I never see myself ever as their sitter, but as their “playmate." I have to think first and foremost of honoring my son and daughter-in law's child-raising mindset and sticking to what they have worked hard to set into place in my interaction with the kids. The biggest gift, that was an absolute surprise to me, was the ability to enjoy every moment with them no matter if it is in person, video chatting, or talking on the phone. Mentally, I take pictures and record interactions with them for an ongoing feeling of absolute bliss. You know that being a parent changes your life and your perspective of life -- the fact that changes again drastically when you become a grandparent was a huge shock. 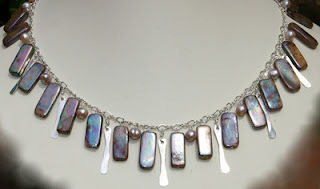 Advice for newbie jewelry designers? To save time, huge amounts of money and frustration, if you can’t afford to take as many classes as humanly possible, apprentice or intern with someone whose work you respect and admire. Learning about new techniques, tools, applications, gemstones, etc. should be quite literally a daily process. You can be a wonderful artist, but if you don’t pay attention to the details in your work, challenge yourself, make mistakes, make them over and over and over again, and listen, listen, listen to your customers, you are dead in the water before you start.